MOSCOW, April 4. /TASS/. 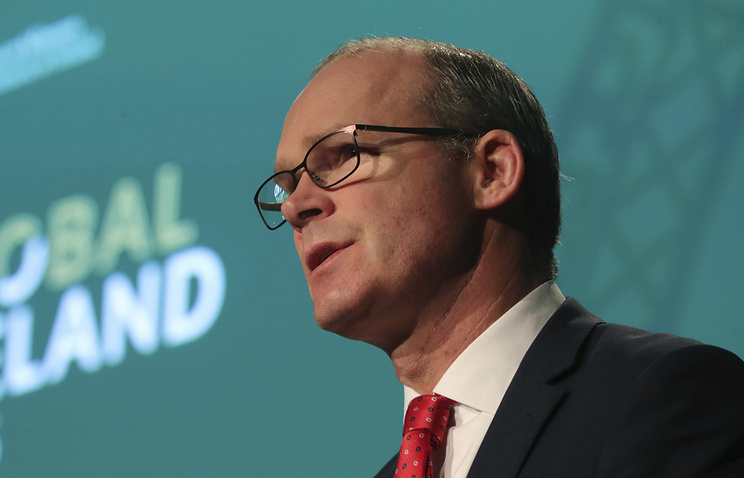 Irish Foreign Minister Simon Coveney will visit Moscow on April 10-11 and hold talks with his Russian counterpart Sergey Lavrov, Russian Foreign Ministry Spokeswoman Maria Zakharova said at a briefing on Thursday. "On April 10-11, the Irish foreign minister will make a working visit to Moscow. His talks with Sergey Lavrov are scheduled for April 11. It will be the first talks between the Russian and Irish top diplomats since December 2012, when the Russian foreign minister held a meeting with his Irish counterpart on the sidelines of the Dublin meeting of the OSCE Ministerial Council," "she said. According to Zakharova, the parties "are expected to discuss the current state of relations and the prospects for their future, as well as ways to boost cooperation." "There will also be an exchange of views on regional and international issues," she added.